8-10% AA - Adequate in temperate climates but has difficulty growing when under heat stress. Susceptible to downy mildew. Traditional German bittering hop with a minty aroma. It is the only hop in Anchor Steam beer, where it is used for both bittering and flavor/aroma. 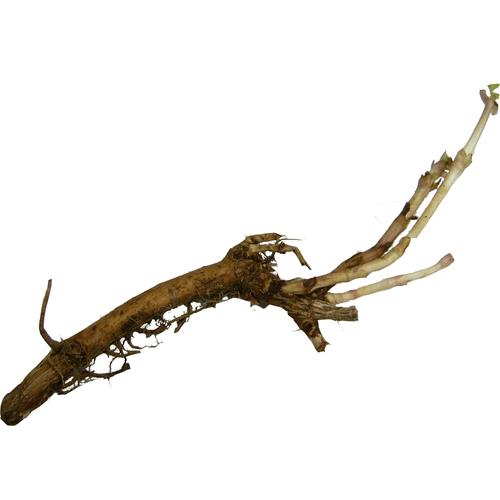 Click here for a PDF on proper treatment and care of hop rhizomes and plants. Since the rhizomes are presale items, we ask that you do not place other items on your rhizome presale order. Any additional items placed on rhizome presale orders will be split into their own order, and subject to additional shipping fees.